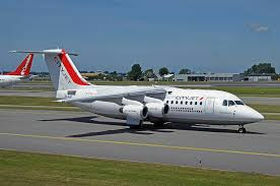 Irish airline Cityjet is planning to establish a plane base in Estonia which would be used to service SAS flights, according to the Danish news portal Borsen reported informs LETA/BNS. Cityjet plans to operate SAS flights outside Scandinavia out of Tallinn airport using CRJ900 airplanes. The Irish company at the start of the year bought a Danish subsidiary of SAS, Cimber. According to Borsen Cityjet is looking for pilots and crew for the CRJ900 airplanes in Tallinn. A representative of Cityjet told the Check-In news portal that since the planes are to be located in Tallinn, it is reasonable to hire a local crew.